As the days get warm, the best way to get to lunch or dinner is to paddle. You beat the traffic and many restaurants make it easy to “park” your watercraft, put on dry clothes and bring your paddles to the table.When dining out this summer, it’s important to eat with a view of the water. 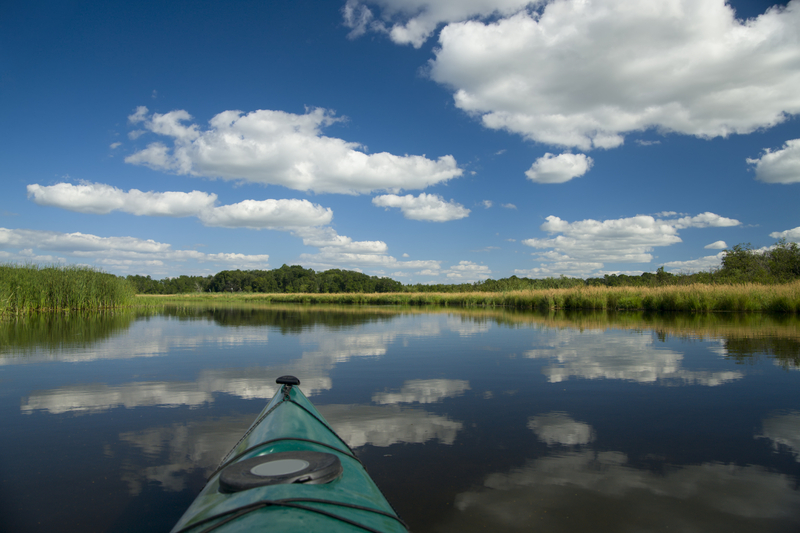 Here are 11 places to paddle to lunch or dinner. Paddle to Docker’s from the east into a beautiful sunset and dine on lobster, shrimp, oysters, dessert and have a margarita. On Fridays, go there for $5 drinks and $5 appetizers and on Tuesdays and Wednesdays, go for the ”Surf or Turf” dinner special. The views are always magnificent. Go. You need two cars for this one. Leave one at the restaurant and drive to Riverhead. 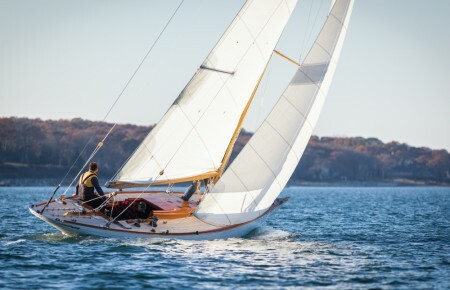 Put in at the easement on the east side of Peconic Avenue and paddle to lunch at the Grille. The scenery on the way east is beautiful, especially in the bird sanctuary just west of Rt. 105. Dine on mussels, calamari, steamers, clams, salmon, oysters or tuna tacos. Go. 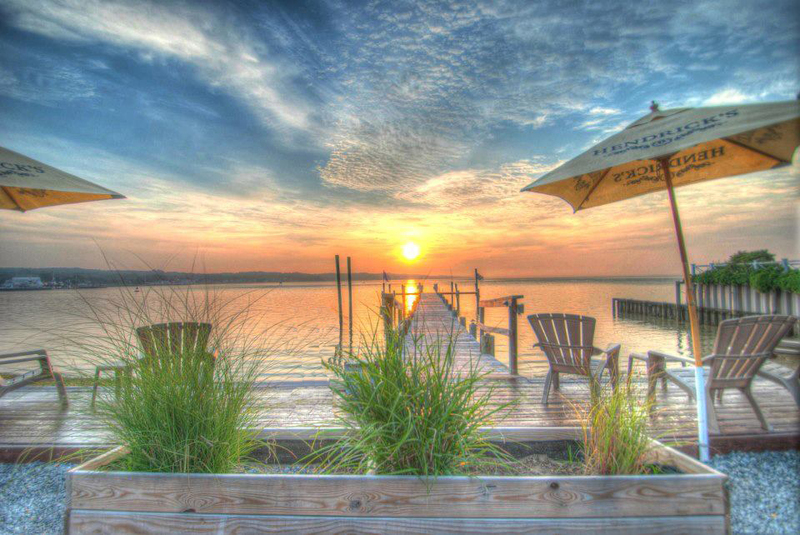 This Hampton Bays staple has tuna tacos to die for and half-price burgers on Tuesdays. Access is from back of the rear parking lot but worth climbing up the bulkhead for the unbelievably good food and drink. For beautiful views of Bennet Cove and Shinnecock Bay, park your car by the Old Ponquogue Bridge, paddle two miles north to Rumba, park the kayak on the beach, get dressed and go up the stairs for guacamole, tuna jerk chicken and other Caribbean favorites. Go. With a beach to park your canoe, SUP or kayak, Cowfish is another great spot to enjoy a meal and a view of the Shinnecock Canal. Try their scallop ceviche, tuna poke and burgers. Go. Park your car at Pike’s Beach, bayside, on Dune Road and paddle a half-mile to the Surf Shack. Pull up on the beach, go swimming and walk to John Scott’s for steamers, sandwiches, shrimp, lobster and salads. Go. 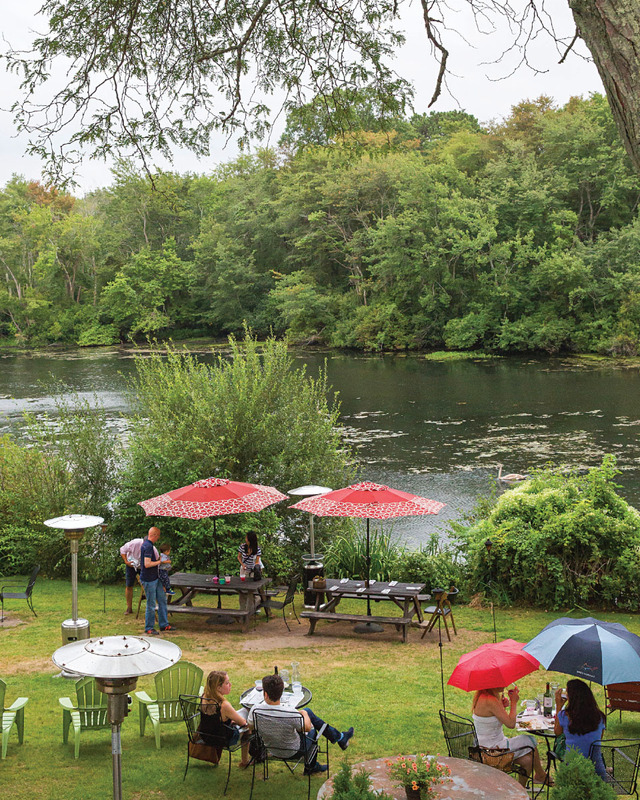 On the banks of the Peconic River, Farm Country Kitchen has great salads, wraps, drinks and sandwiches. And getting there by paddlecraft is easier than trying to find a parking spot at this popular eatery. Go. Start at Peconic Avenue or Indian Island County Park and stop by the aquarium, next to Jerry’s, where you’ll find a variety of delicious seafood entrees. Go. On the west side of Mattituck Creek, this spot has delicious clam chowder, calamari and shrimp. You can park your car at the beautiful, functional and new DEC parking lot just north of Old Mill Inn. Go. Paddle northeast from the Coast Guard Station to a beach just east of the Edgewater and carry your kayaks to the lawn. Those that make the trip are rewarded with to-die-for roasted corn salad, mussels and linguini with white clam sauce. Go. 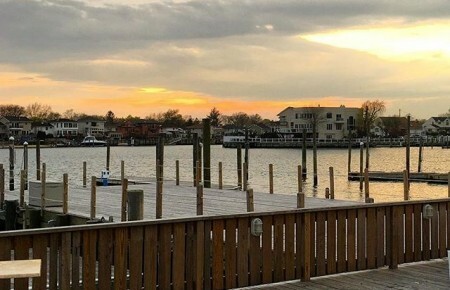 With ample room to beach your watercraft and a fine seafood meal of clams, shrimp, mussels, baked clams, scampi and calamari, Morgan’s Marina is the place to paddle in Patchogue. There’s also a new lunch site on Montauk Highway east of Route 112 in Patchogue. Go. Tell us your favorites in the comments and be sure to check out the June issue of Pulse for top places to dock and dine when traveling by boat.